Ohio is at risk of losing both of its remaining nuclear plants, which provide 90 percent of Ohio's clean energy. 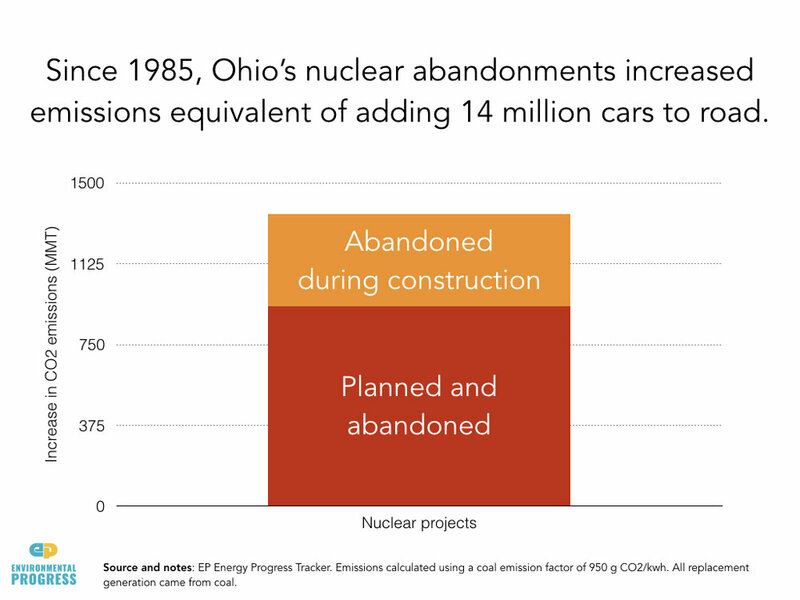 Ohio had plans to build six nuclear reactors in the 1970s and those efforts were blocked. Among U.S. states, Ohio has the leading number of premature deaths from particulate matter from electricity generation. A Congressional Budget Office analysis finds that renewables received $10.7 billion more or 55 times what was given to nuclear in 2016. On a unit of energy basis, renewables received over 100 times what was given to nuclear. Between 1978 and 2007, the Energy Department spent $24 billion on fossil energy research that led to the fracking revolution — including $10 billion in tax credit (US Code Section 29) for unconventional oil and gas drilling. Climate scientist James Hansen, high-tech leaders, Ohio community leaders, and over 100 others have urged Governor John Kasich to end discrimination against nuclear so the plants can be saved. They also sent a letter to Amazon.com CEO Jeff Bezos. Governor John Kasich has acknowledged his concern about climate change and criticized the U.S. withdrawal from the Paris Agreement, arguing that the move will destroy jobs and relinquish the United States' status as a global leader. Saving nuclear power is the single largest thing the governor could do to help prevent emissions.